I've always wanted to have a Buddha statue somewhere in my home. I'm not a Buddhist or anything but I just think they look really cool. They're a symbol of good luck & having one on display can enhance the good Feng Shui in a room. 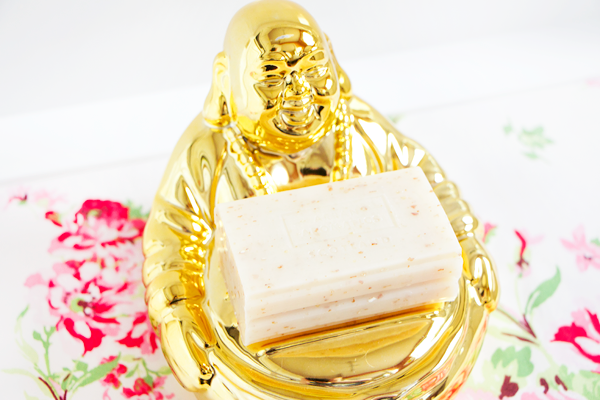 I like my decorative pieces to be functional as well so that's why I chose this golden ceramic Buddha Soap Dish*. 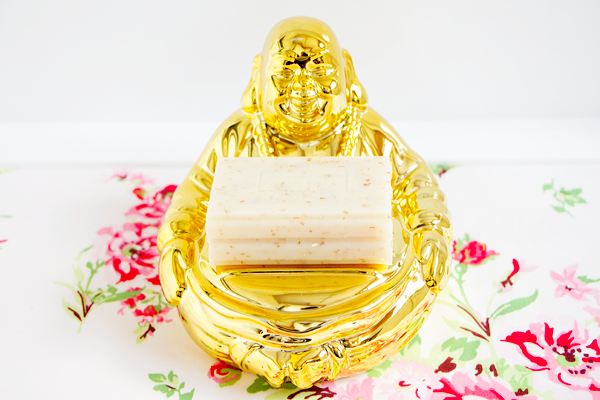 I needed a soap dish for my Dr Bronner's soap that I use to wash my makeup brushes & I couldn't be happier with this one! I love anything gold! It's very eye-catching & would look awesome in either the kitchen or bathroom. Ever since falling in love with Jill Tomlinson's book 'The Owl Who Was Afraid Of The Dark' as a child, owls have been one of my favourite animals. I was sent this stunning Pink Folk Owl Mug* & I'm completely obsessed with it. I pretty much only drink out of this mug now. I normally use a cocoa mug for my hot drinks so I'm really glad that this mug is absolutely huge! I can't be dealing with tiny cups of tea or hot chocolate! The detailing is just beautiful & it also comes in blue. Both mugs would make such a lovely set together. This Baby Squirrel Night Light* is just so cute! Chloe won't sleep without a night light & her one broke recently so I requested it especially for her. It fits in nicely with the rest of her bedroom decor & adds a warm comforting glow to the room. The light is powered by LEDs & runs on batteries so it's safe for young children. This charming little squirrel has fast become one of Chloe's favourite bedtime companions as he emits just enough light to keep the scary shadow monsters away through the night. 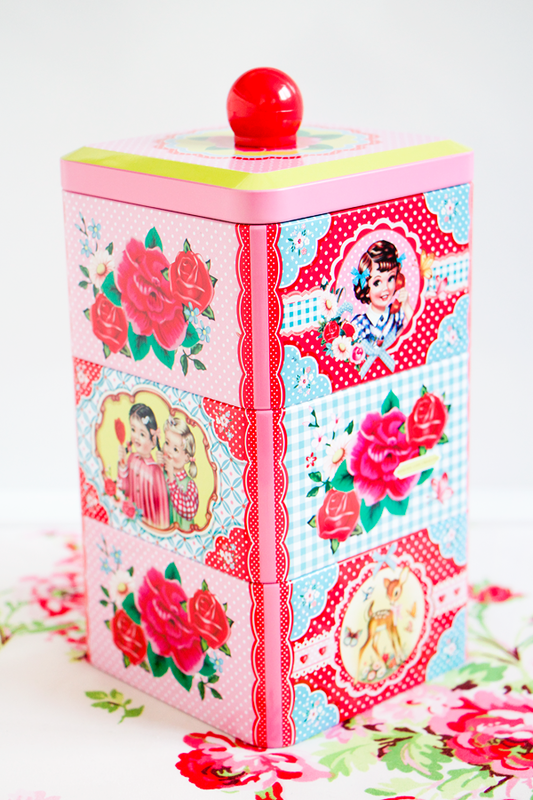 I love quirky storage pieces and this Wu & Wu Tiffin Tin* is no exception. The colourful designs on each layer are completely adorable with things like kitties, deer & roses. It's made from food grade tin so it would be perfect for stashing away sweets or cookies. However you could keep anything in it really. 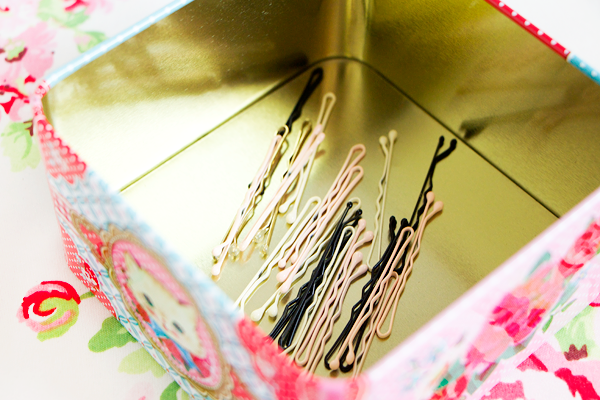 At the minute I've got it in my bedroom as hair storage because I'm forever losing my bobby pins & hair bands so it's great to finally have a proper place to put them. Plus I can sneak a few treats in there as a midnight snack! I'm so happy with everything I received & I can't thank Flamingo Gifts enough for sending me so many lovely items! Their website is full of cute little gifts like these & I'd definitely recommend checking them out whether you're buying a present for someone or just want to spruce up your home. There really is something for everyone on there & I can guarantee you'll fall in love with it all. What do you think of Flamingo Gifts? 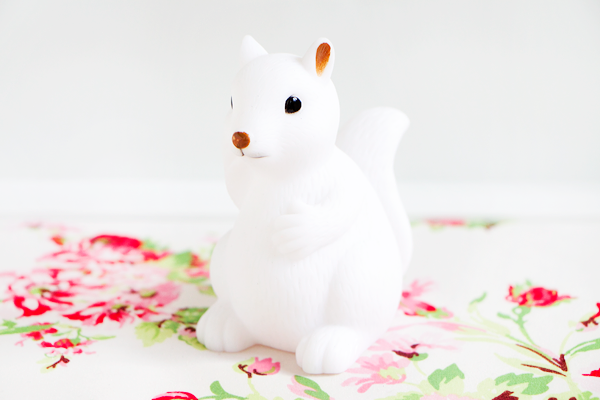 I love the Squirrel night light - i've got a similar rabbit one so I might have to start a collection! 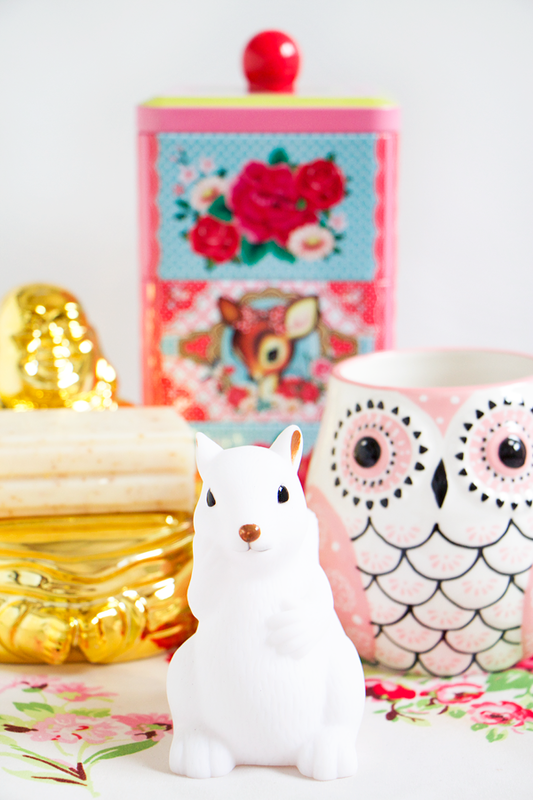 Everything you got is so cute and quirky, I love the owl mug and the tins and the Buddha! 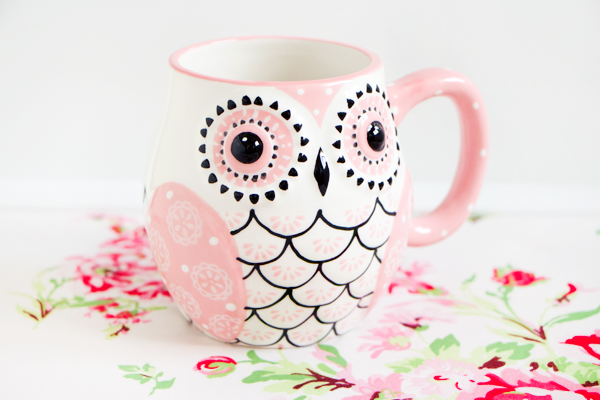 I've got such a soft spot for owls so naturally love the mug! The mug is adorable! 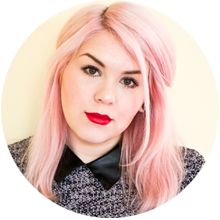 I struggle with decorating too since I live in a rented house also, I'll be sure to check out Flamingo Gifts!